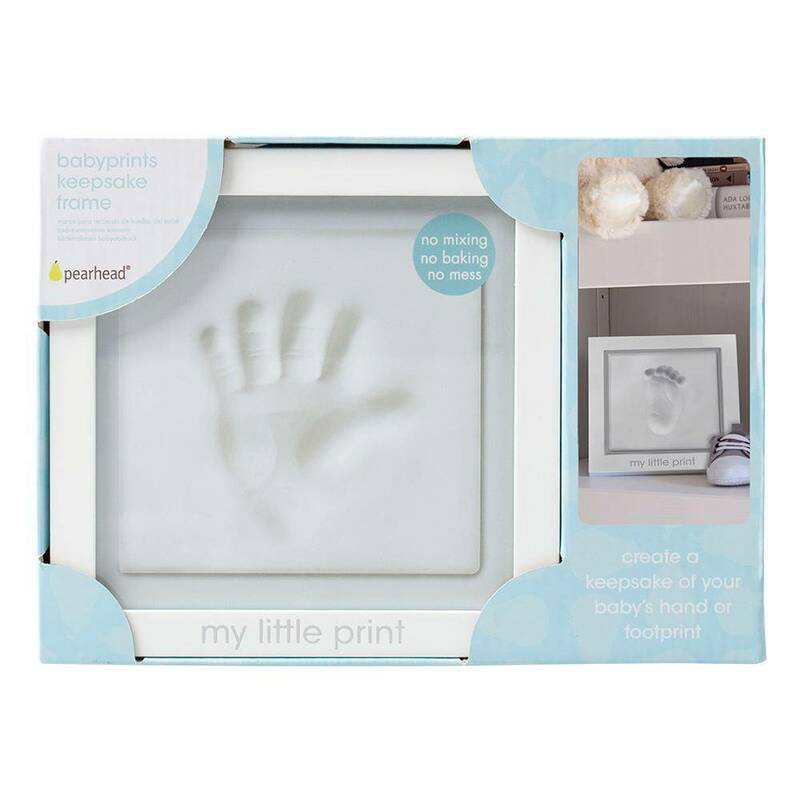 Celebrate the arrival of your adorable bundle of joy with Pearhead’s babyprints keepsake frame. This classic white, wooden shadowbox frame includes everything you need to make your baby’s print. The clay included requires no mixing or baking and it’s 100% baby safe! Simply knead the clay for about 2-3 minutes. Then roll the clay out with the included rolling pin onto a piece of aluminum foil (not included). Once you have the desired thickness press baby’s hand or foot into the non-toxic, soft air-drying clay. 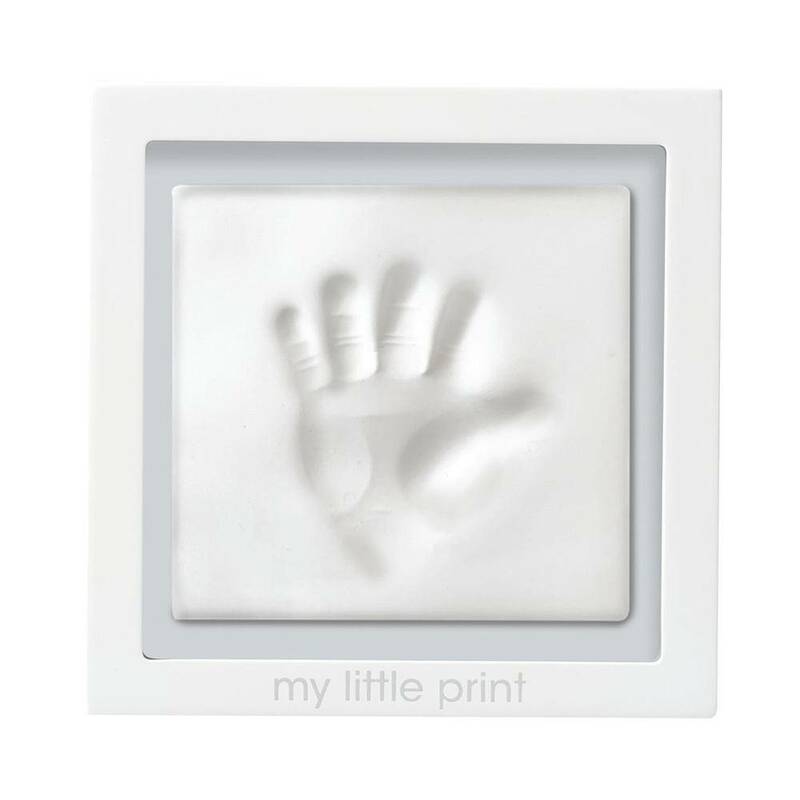 Press gently but firm enough to capture your baby’s precious imprint. Use the included ruler to cut the excess clay around the edges. Let dry for 24- 48 hours. Once dry, place the print inside the frame with the double-sided tape. This keepsake frame includes a gray background board so it’s perfect for baby boy or baby girl! The front is screen printed with the adorable saying “my little print” so your little one will always know how little their piggies were! This frame also includes a triangle hanger and an easel, so you can display it on any wall in your baby’s nursery or on any shelf. Don’t forget to include this frame in your baby registry. It makes for the perfect gift. As new parents, you will always want to remember your little baby’s prints. 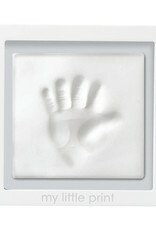 Cherish those memories forever with Pearhead’s babyprints keepsake frame.